After 6 years of planning, working our tails off, and investing most of our savings, Shelterbelt Farm is finally starting to resemble our vision. We still have probably another 5 years of building and investing and really hard work, but for the first time it feels like maybe, just maybe, we’ve passed the half-way point. The 2015 growing season was our first one living in our own home on our farm. And it was our first season planting anything! We’ve loved raising poultry, pigs, and sheep here for the past few years, using their talents to clear and fertilize land, but without a full-time presence here, there were just too many risks from deer, woodchucks, rabbits, and weeds to put any plants in the ground. 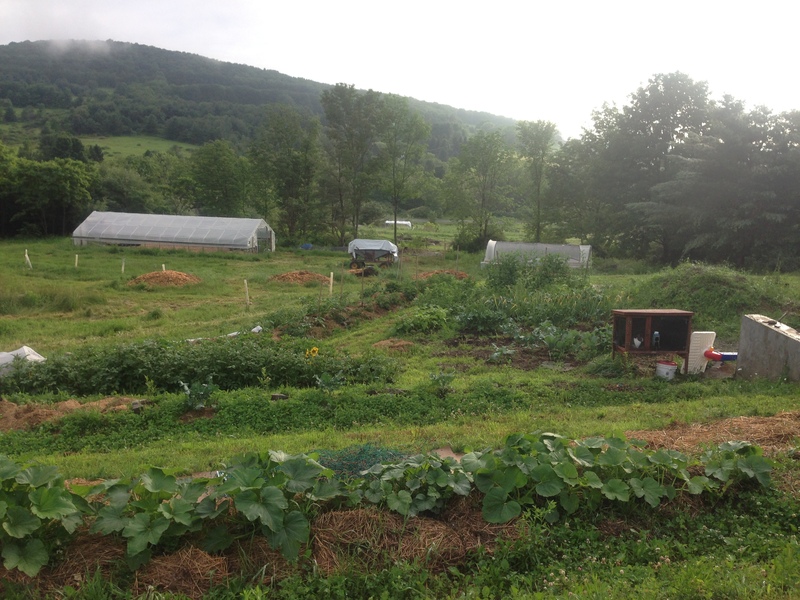 So last Spring I took 4 years’ worth of pent-up planting energy and unleashed it on our farm and homestead gardens! 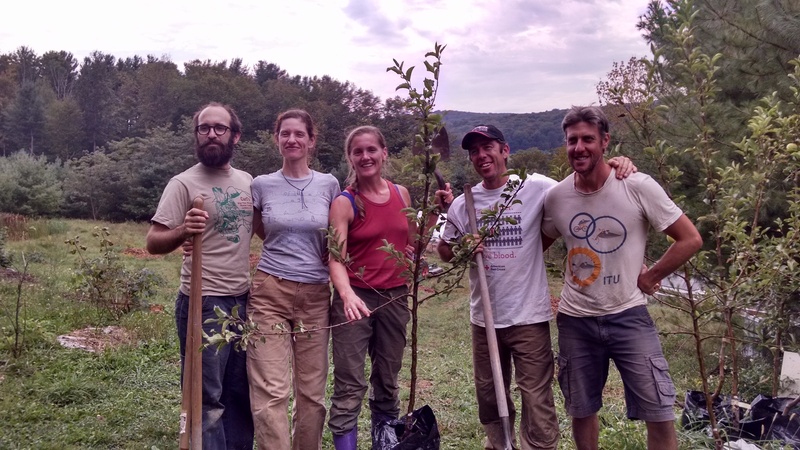 With help from some very excellent volunteers, we planted 340+ fruit and nut trees and shrubs, some for farm sales and some for personal use. This year will bring more of the same, with new additions of honeyberry (haskap), serviceberry (juneberry), elderberry, and mulberry to our farm orchard. 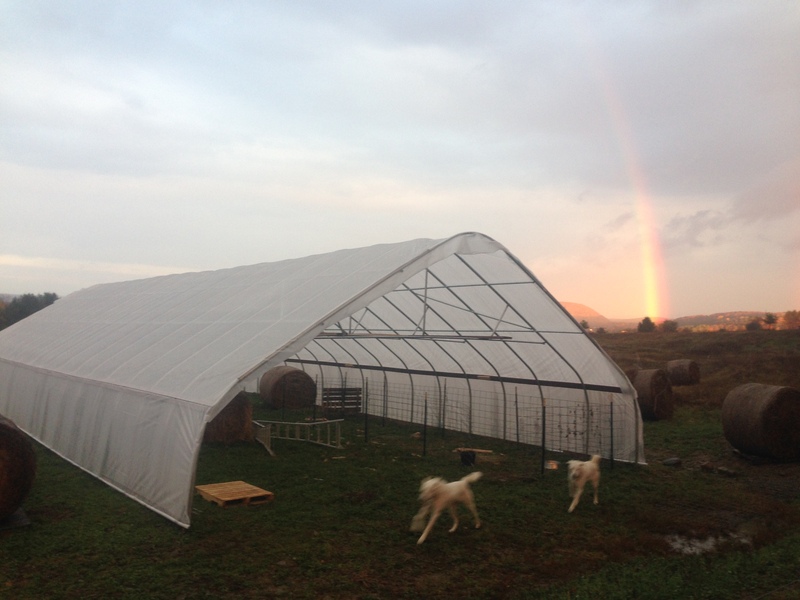 We also built a new 30′ x 72′ high tunnel (unheated greenhouse) last Fall, which we will put into production this year starting in May with ginger and tomatoes. This structure is oriented to allow for year-round production of greens, so if all goes well we’ll have it full of kale and spinach through the end of this year and into 2017! Our two Akbash livestock guardian dogs, Luke and Keira, have been with us for a year now. They are still not considered mature as guardians, but they are learning about all their responsibilities and keeping our sheep safe from predators and our fruit trees safe from deer! There will be a record number of babies born on the farm this year: we have 18 pregnant ewes, 1 (hopefully) pregnant family milk cow, and 3 bred beef heifers arriving next week! The herd and flock will both be continuing to grow over the next year as we retain all the female babies born. Most exciting in all this is that our vision for an integrated farm ecosystem is coming together. All these pieces–sheep, cattle, orchard trees, fruit bushes, and poultry–contribute to a strategy yielding diverse harvests from a single area. The fruit trees are planted in contoured rows with 50-ft-wide strips of pasture between rows. 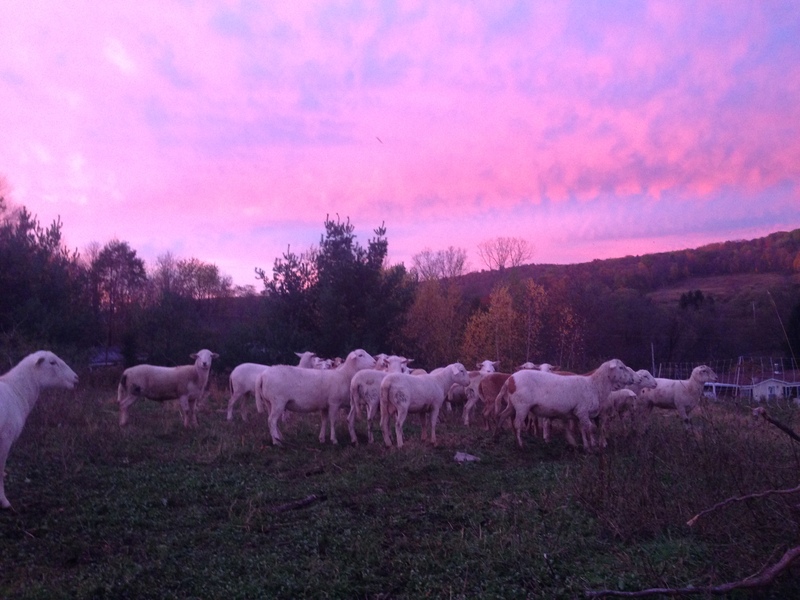 This pasture is grazed alternately by sheep and cattle, managing the forage height and improving its quality over time while also managing parasites organically. We will add a roving flock of laying ducks this year to add fertility in the orchard while also eating pests and keeping weeds down within rows of trees. In time we hope to harvest fruit, meat, and eggs from this ground. Thanks for being along for the ride with us! Inspiring as we are just getting started.